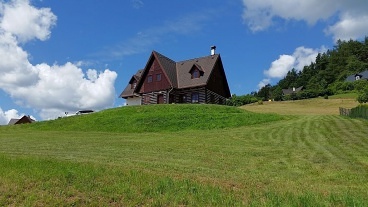 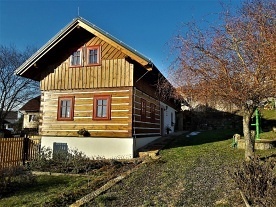 Rent cottage in Kovárna - Vidochov, Nová Paka. 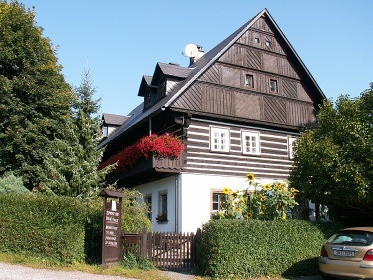 Renting a cottage on the border between Giant Mountains and Bohemian Paradise. 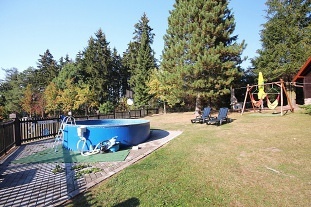 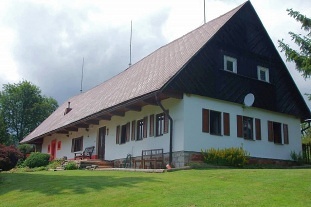 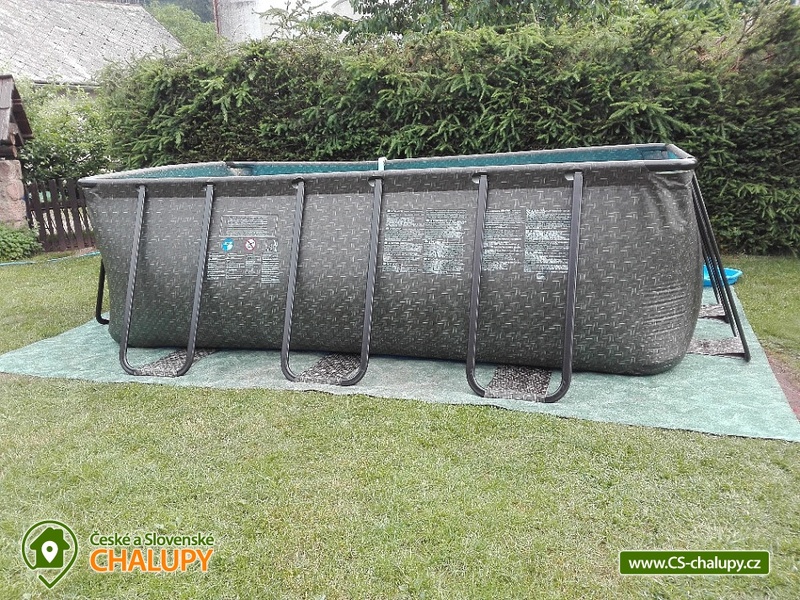 Accommodation cottage with swimming pool Vidochov, district Jičín. 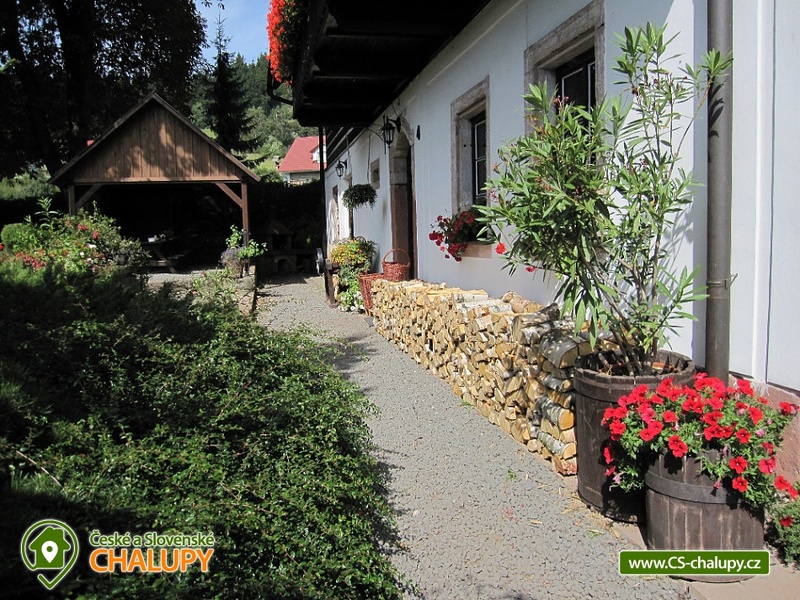 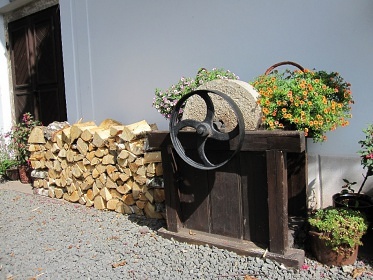 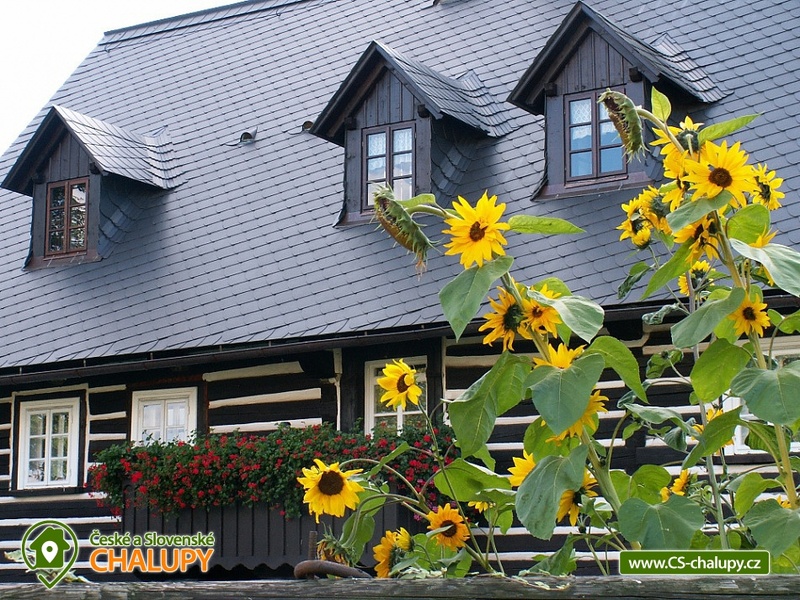 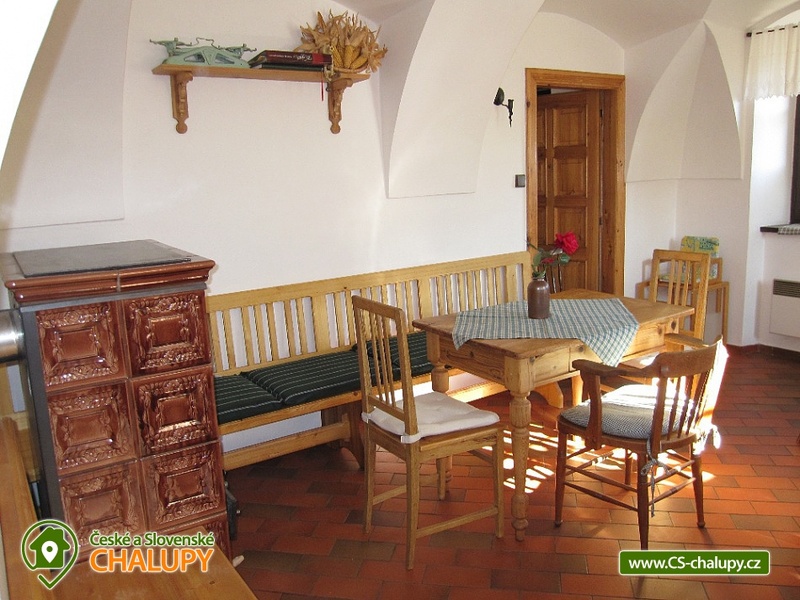 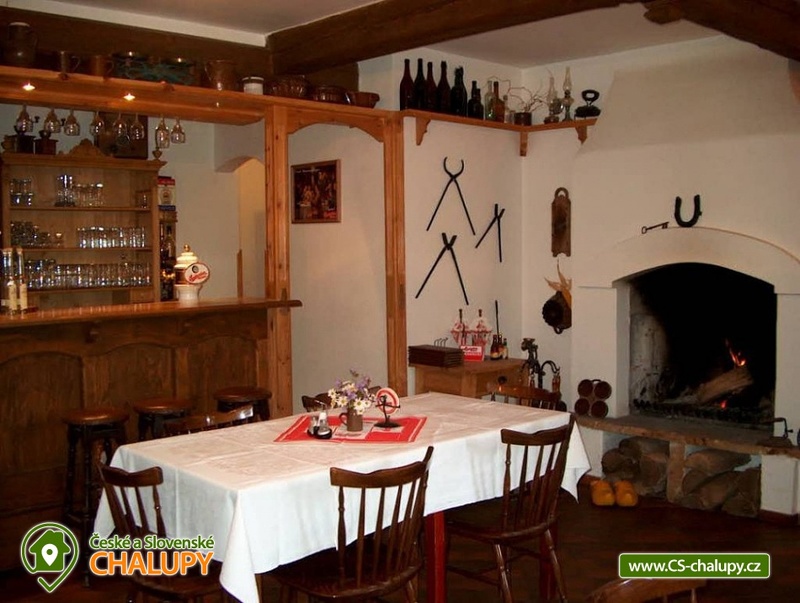 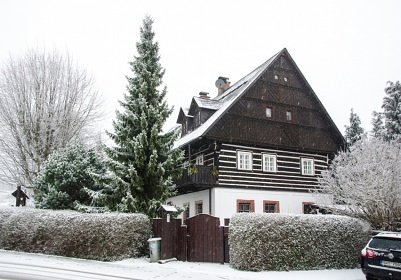 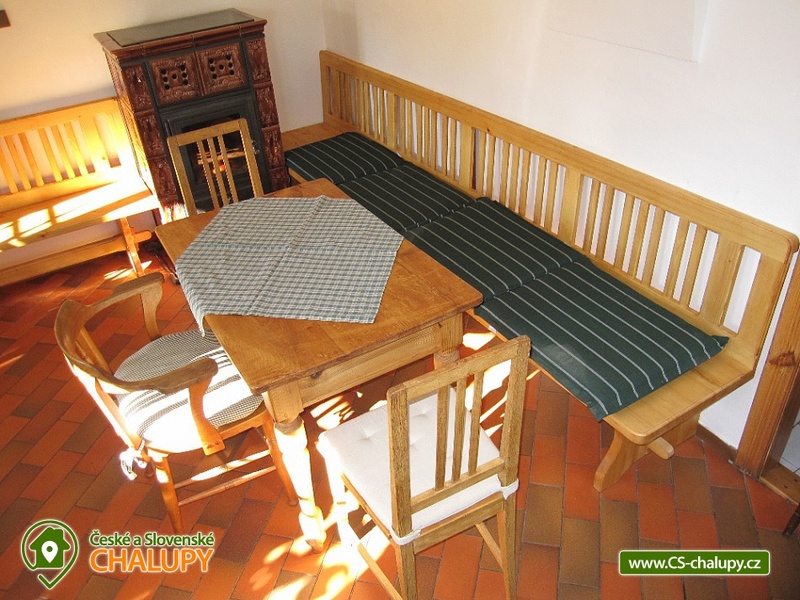 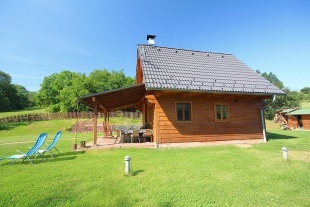 Large, stylish cottage ideal for winter or summer holidays on the edge of the quiet village of Vidochov, located in Podkrkonoší. 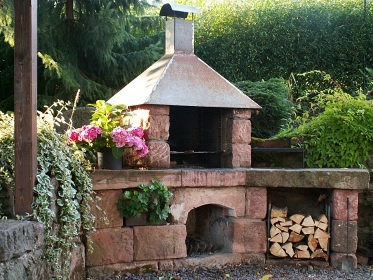 The cottage for rent provides accommodation for 20 people in 7 bedrooms. 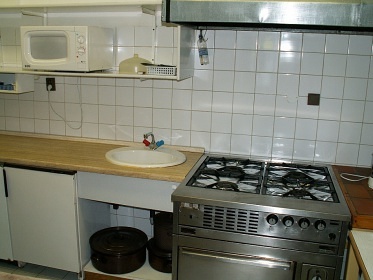 On the ground floor of the cottage there is a fully equipped kitchen (microwave, oven, dishwasher, microwave oven, etc. 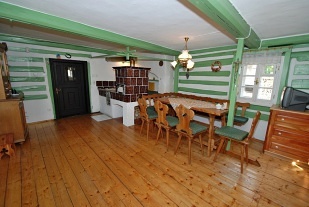 ), dining room (common room with tiled stove) and shared WC. 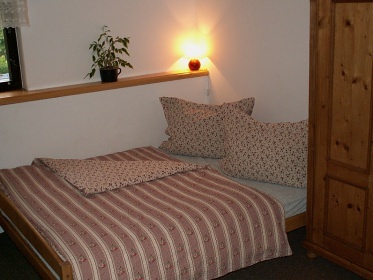 On the 1st floor there is an apartment with 2 rooms (4 beds, 3 beds) and own bathroom. 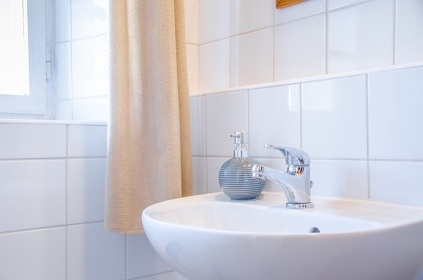 Equipment: shower, WC in the bathroom. 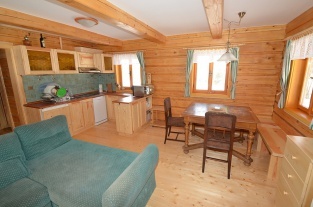 Furthermore, 2-bedded room with own bathroom. equipment. 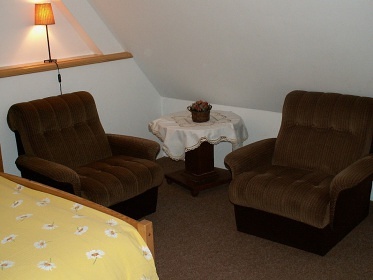 On the 2nd floor there is an apartment with 2 rooms (3 beds, 3 beds) and own bathroom. 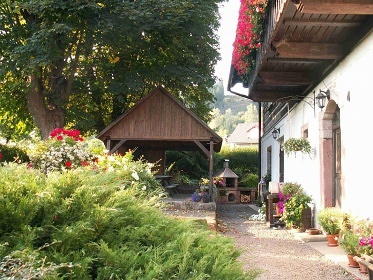 (shower, separate toilet). 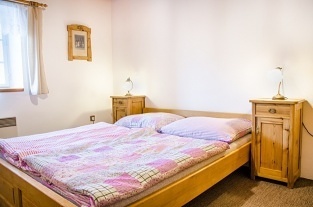 Further 3-bedded room with own bathroom. 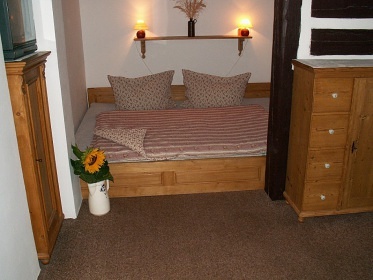 (shower, WC in the bathroom) and a common room with a sofa and TV (can also be used as a children's playroom). 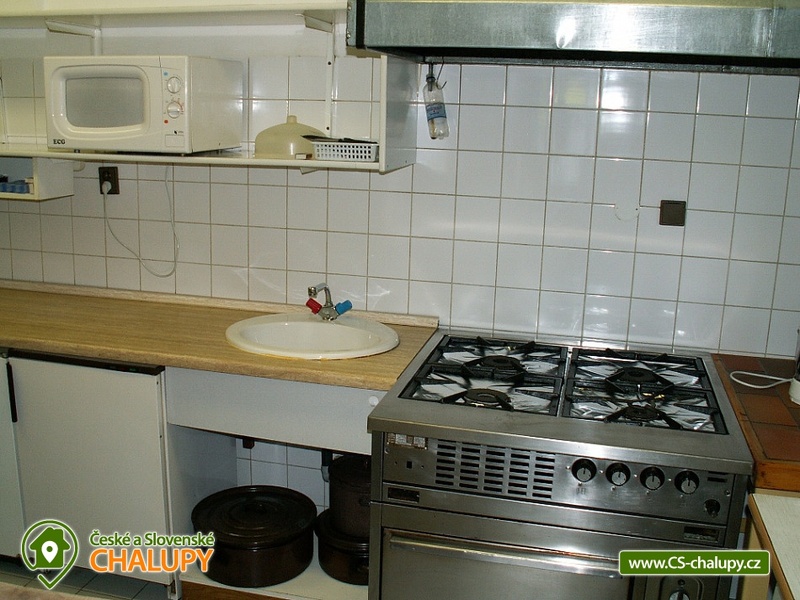 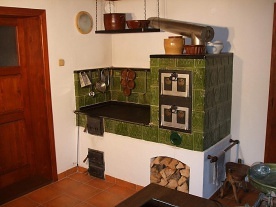 The heating is provided by electricity and tiled stove in spol. 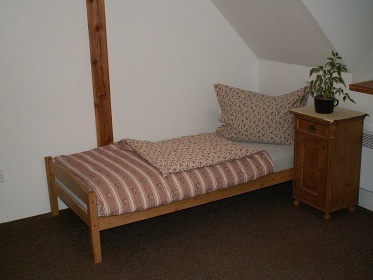 room on the ground floor (wood is free). 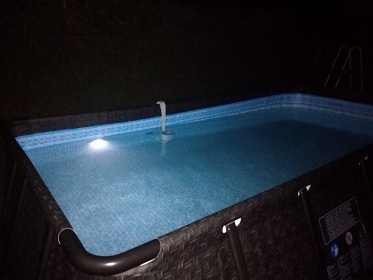 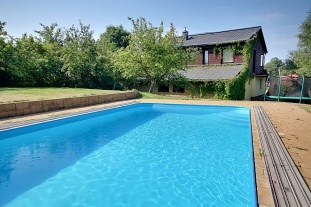 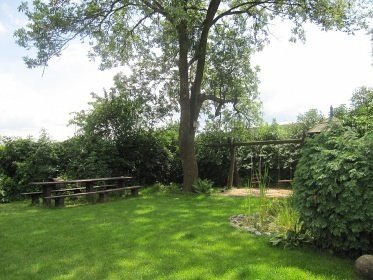 Parking is right next to the house 6 - 8 cars, bus stop 100 m. The cottage is fenced plot, garden grill, above ground pool, garden furniture, fireplace, sandpit, terrace and yard. 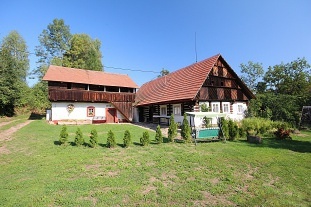 On the ground floor of the building is the owner's apartment with its own separate entrance. 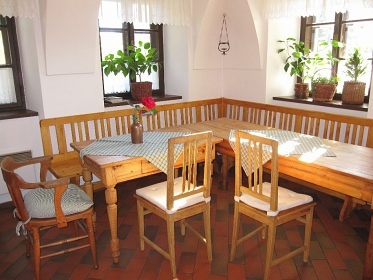 School tours can be accommodated after a prior discussion with the owner of the building. 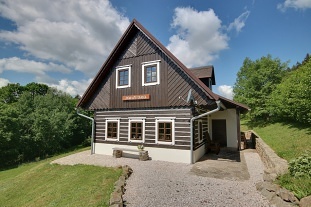 Rent cottage in Kovárna - Vidochov, Nová Paka. Renting a cottage on the border between Giant Mountains and Bohemian Paradise. 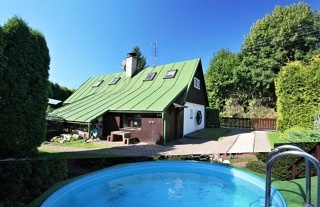 Accommodation cottage with swimming pool Vidochov, district Jičín. 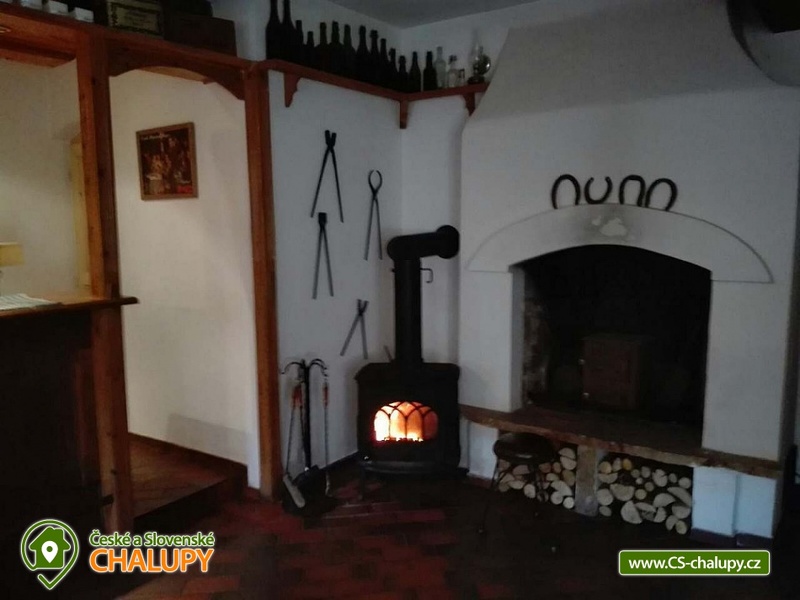 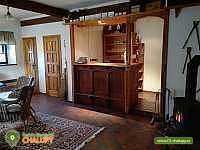 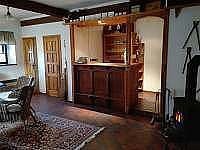 Our cottage, among other things, has been declared a national cultural monument since 1997, so you can spend your vacation in an unusual setting of old timbered cottages (former smiths), which has been here for more than 250 years. 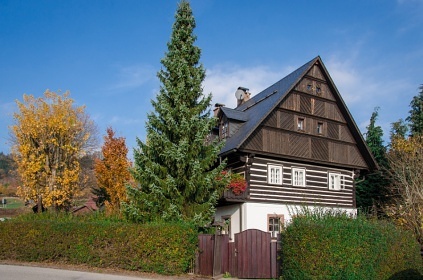 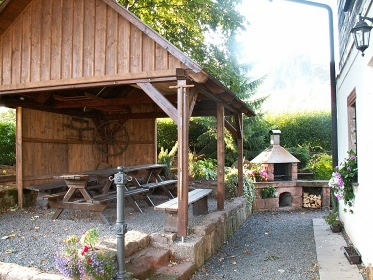 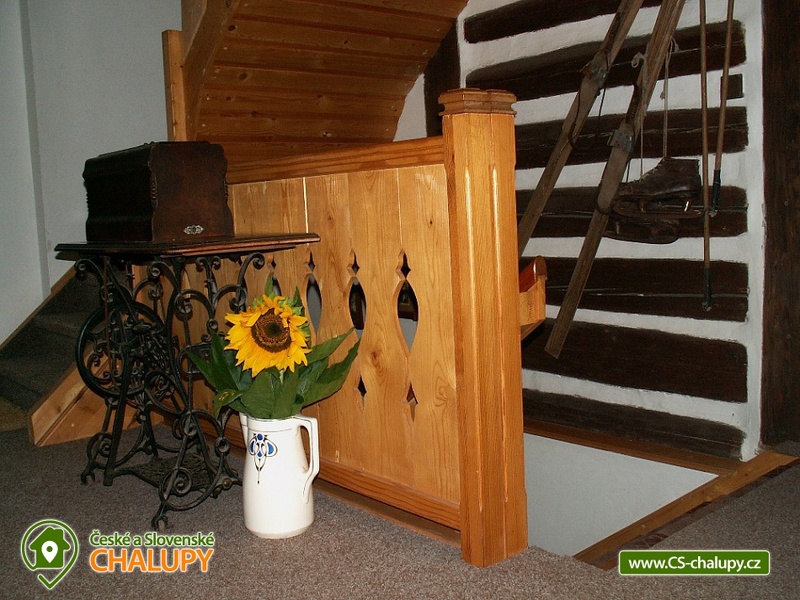 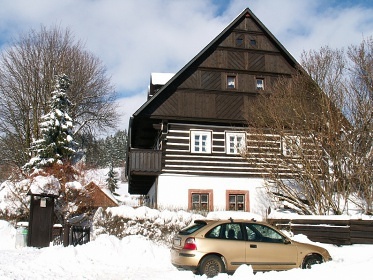 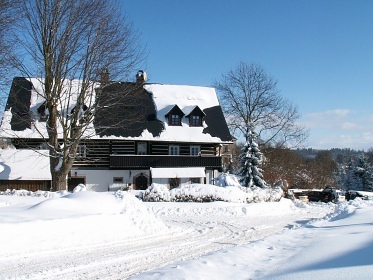 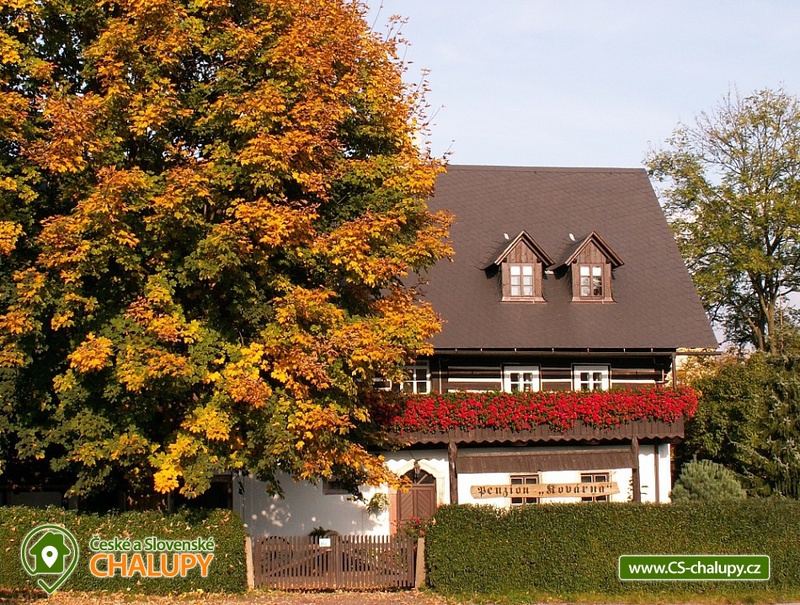 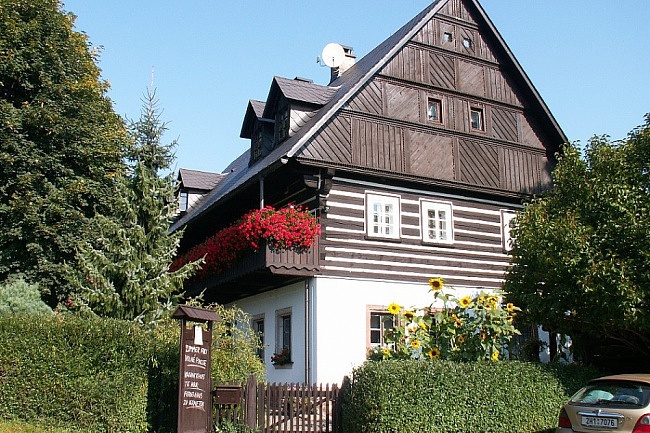 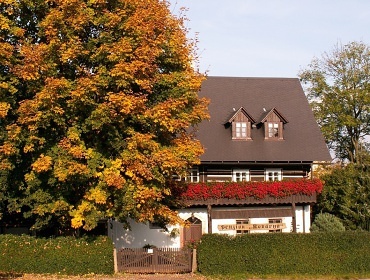 With its location, the cottage has a good starting position for excursions not only to the Giant Mountains but also to the nearby Bohemian Paradise. The mountains are just a bit from here, but in Podkrkonoší you eat and drink for reasonable money and you are at the car in a few minutes. 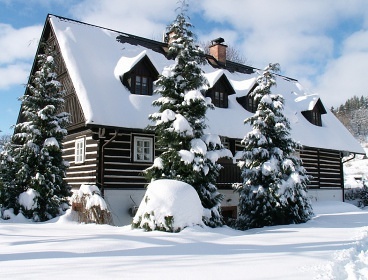 (15 minutes by car to the ski resort Herlíkovice or Kněžický vrch). 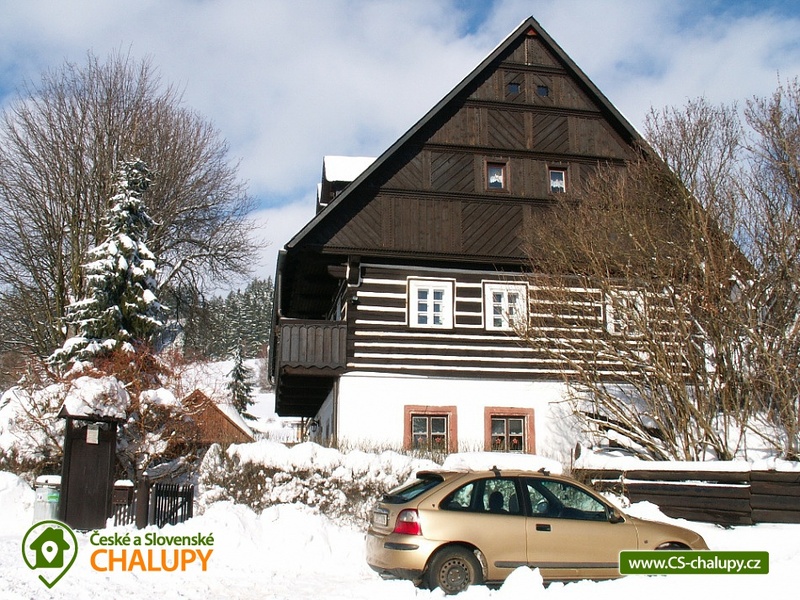 You can go straight from the cottage for cross-country skiing and 4 km from us are trails Nová Paka - Tabor - Lomnice nad Popelkou. The nearest ski slope suitable for learning the basics of skiing with technical snow is in Nova Pace (5 minutes by car), Herlikovice (15 - 20 minutes by car). 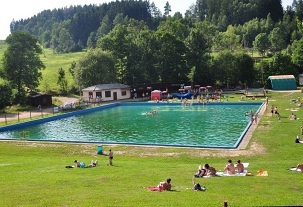 Swimming possibilities in the surroundings: Jahodnice water reservoir, Les Království dam, swimming pool Pecka, Fařina pond - Nová Paka, swimming pool Dolní Kalná, swimming pool Kruh, pond U Mlejna or Lazne Belohrad - pond. 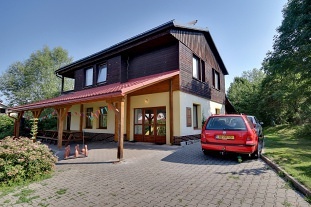 Additional information Týdenní pobyty jsou od neděle do neděle (po dohodě s majitelem objektu lze změnit). 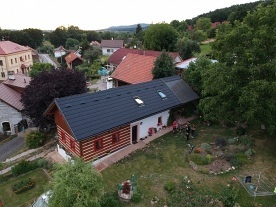 Při pobytu s domácím zvířetem zůstává uzamčena místnost s koženou sedačkou a barem. 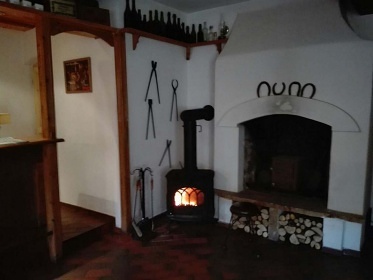 Ceny jsou pouze orientační a tudíž záleží na dohodě s majitelem. 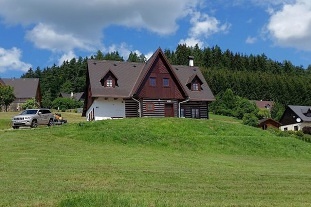 (délka pobytu, termín a počet dospělých a dětí). V případě zájmu napište e-mail přes formulář v prezentaci nebo zavolejte a rádi pro Vás vykalkulujeme skutečnou cenu. 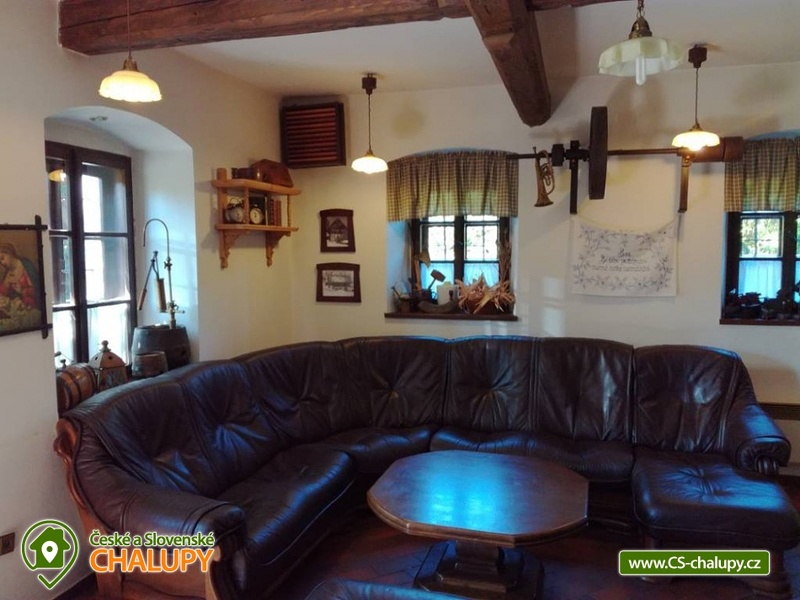 Additional information Host při ukončení pobytu je povinen: předat objekt v pořádku a nebo zaplatit závěrečný úklid, pokud nevznikly žádné škody tak host obdrží zpět v plné výši vratnou kauci. 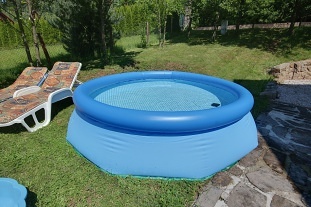 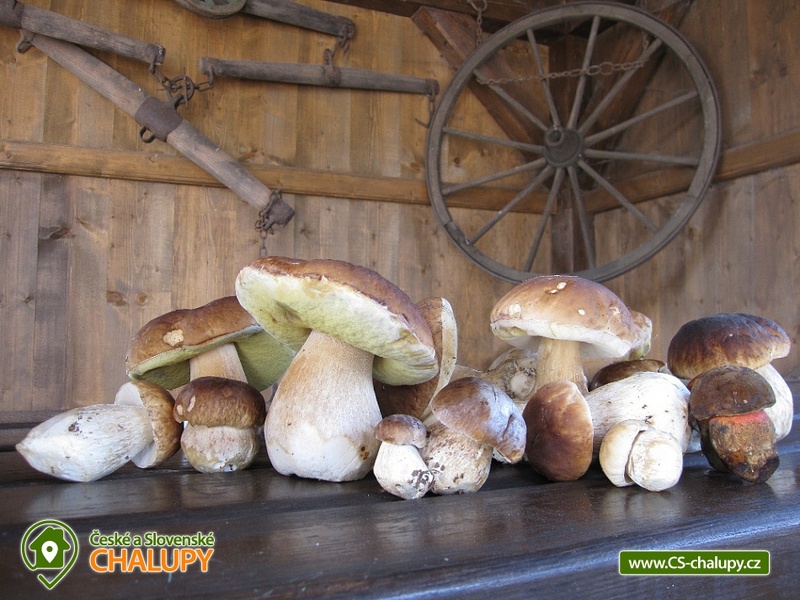 Domácí zvíře je možno ubytovat pouze po dohodě s majitelem (za poplatek).